We’ve now spent three weeks watching American politicians argue needlessly over the Iran nuclear deal. For or against, they all miss this one salient point: It is the US that needed to end this standoff with Iran – not the other way around. For years we have been hearing that US sanctions “were biting” and had “teeth.” Sanctions, it was said, would “change Iranian behaviors,” whether in regards to the Islamic Republic’s “support of terrorism,” its “calculations” over its nuclear program, or by turning popular Iranian sentiment against its government. There is, of course, scant evidence that any of this is true. Ninety-six percent of Iranians surveyed agreed with the statement that “maintaining the right to advance a nuclear program is worth the price being paid in economic sanctions and international isolation.” Of those polled, a mere five percent of Iranians felt that improved relations with the US and the West were their top priority. No, sanctions have not worked in any of the ways they were intended. So if the Iranians were not ‘dragged’ to the negotiating table, then what was the sudden incentive behind a multilateral effort to forge a deal in 2015 – 36 years after the first US non-nuclear sanctions were levied against the Islamic Republic, and nine years after the UN Security Council first issued nuclear-related sanctions? Keep in mind that both the Iranians and the permanent members of the UNSC have offered up proposals to end the nuclear deadlock since 2003. So why, this deal, now? Could it be that the Americans had simply blinked first? It must be understood that much of this nuclear brouhaha has nothing to do with Iran actually possessing or aspiring to possess nuclear weapons. 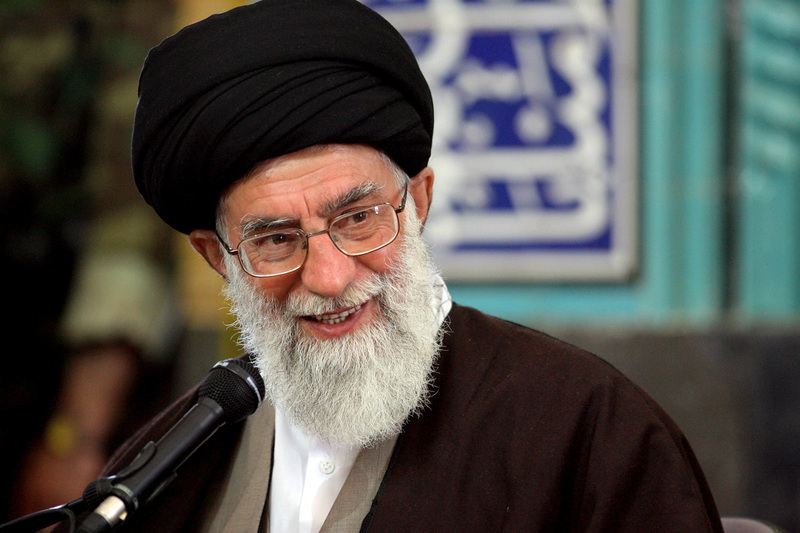 The Islamic Republic neither has nuclear weapons, nor does it profess to want them. US intelligence agencies, over the years, have conceded that Iran has not even made the “decision” to pursue weaponization, and the IAEA has repeatedly stated in 52 periodic assessment reports that there has been “no diversion” of nuclear materials to a weapons program. In short, all the fuss has really only ever been about containing, isolating and taming a developing nation with aspirations that challenge Empire’s hegemony. Iran was never going to be able to change the rules of the game single-handedly. That is, until the game itself shifted hands and direction. In 2012, cracks in the global economic and political power structures started to shift dramatically. We started to see the emergence of the BRICS, in particular Russia and China, as influential movers of global events. Whether it was a shift in trading currencies from the conventional dollar/euro to the rupee/yuan/ruble, or the emergence of new global economic/defense institutions initiated by BRICS member states, the world’s middle powers began to assert themselves and project power on the international stage. But it was in the vast and complicated Middle East arena that old power and new power came to clash most ferociously. In November 2011, the year of the Arab uprisings, the BRICS announced their first collective foreign policy statement, urging the rejection of foreign intervention in Syria’s internal affairs. By 2012, it started becoming clear that the crisis in Syria was being heavily fomented by external players, including the three UNSC Western permanent members, the US, UK and France and their regional allies, Saudi Arabia, Qatar and NATO-member Turkey. In 2012, it also became clear that Al-Qaeda and other militant Islamist fighters were dominating the opposition inside the Syrian military theater and that these elements were being backed by the United States and its allies. The American calculus, at this point, was to allow and even encourage the proliferation of fighters prepared to unseat the government of Syrian President Bashar Assad, anticipating that at some future date they could then reverse the gains of radicals. Assad did not fall, but extremism – fueled by funding, arming and training from US allies – entrenched itself further in Syria. This did not go unnoticed in Washington, which has always struggled to make a coherent case for its Syria strategies. The rise of ISIS (IS, formerly ISIS/ISIL) and the flood of jihadists into the Syrian theater began to change the American calculations. The US began to work on hedging its bets…and that is when Iran began to factor significantly in America’s Plan B. That Plan B began in mid-2012, just as Saudi Arabia’s incoming intelligence chief Bandar bin Sultan was preparing for a violent escalation in Syria, one that would exacerbate the Islamist militancy in the Levant exponentially. Take note that the Americans initiated this process, not the purportedly “sanctions-fatigued” Iranians, and that this outreach began when Iranian President Mahmoud Ahmadinejad was at the helm, not his successor Rouhani. If you look at the array of ground forces amassed against Islamist radicals from Lebanon to Iraq, they consist almost entirely of elements allied with the Islamic Republic, or are recipients of weapons and sometimes training provided by the Iranians. There are no combat forces from Western states and none from their Arab or Turkish allies within the region. ‘Boots on the ground’ are essential in asymmetrical warfare, but the US military will continue to oppose inserting its troops into direct combat situations in Syria and Iraq. This is the conundrum Washington began facing in 2012. And so it set in motion a face-saving strategy to enable itself to “deal” with Iran directly. Here’s what the Iran nuclear deal does – besides the obvious: it takes the old American-Iranian “baggage” off the table for the US administration, allowing it the freedom to pursue more pressing shared political objectives with Iran. The Iranians understood full well in Vienna that they were operating from a strong regional position and that the US needed this deal more urgently. The Americans tried several times to get Iran to expand discussions to address regional issues on a parallel track, but the Iranians refused point-blank. They were not prepared to allow the US to gain any leverage in various regional battlefields in order to weaken Iran’s position within broader talks. Although the Iranians are careful to point out that the Vienna agreement is only as good as the “intentions” of their partners, this deal is essentially a satisfactory one for Tehran. It ensures rigorous verification that Iran is not pursuing a nuclear weapons program, which is just fine for a country that doesn’t seek one. It also provides Iran with protections against ‘over-inspection’ and baseless accusations, dismisses all UNSC resolutions against the Islamic Republic, recognizes the country’s enrichment program, provides extensive international sanctions relief, binds all UN member-states to this agreement (yes, Israel too) and nails down an end-date for this whole nuclear saga. The deal also frees up Iran to pursue its regional plans with less inhibitions. “What the president (Obama) and his aides do not talk about these days — for fear of further antagonizing lawmakers on Capitol Hill who have cast Iran as the ultimate enemy of the United States — are their grander ambitions for a deal they hope could open up relations with Tehran and be part of a transformation in the Middle East,” reads a post-Vienna article in the New York Times. Clearly, for Western leaders Iran is an essential component in any fight against ISIS and other like-minded terror groups. Just as clearly, they have realized that excluding Iran from the resolution of various regional conflicts is a non-starter. The balance of power has shifted decisively in the Middle East. Washington wants out of the mess it helped create, and it can’t exit the region without Iran’s help. The agreement in Vienna was reached to facilitate this possibility. Iran is not inclined to reward the US for bad behavior, but will also likely not resist efforts to broker regional political settlements that make sense. It was not a weak Iran that came to the final negotiations in Vienna and it was not a crippled Iran that left that table. Iran just exited UNSC Chapter 7 sanctions via diplomacy rather than war, and it’s now focusing its skill-sets on unwinding conflict in the Middle East. If you’re planning to challenge Empire anytime soon, make sure to get a copy of Iran’s playbook. Nobody plays the long game better – and with more patience. This article was first published on August 5, 2015 on Russia Today’s Op-Edge. You can follow the author on Facebook and Twitter.